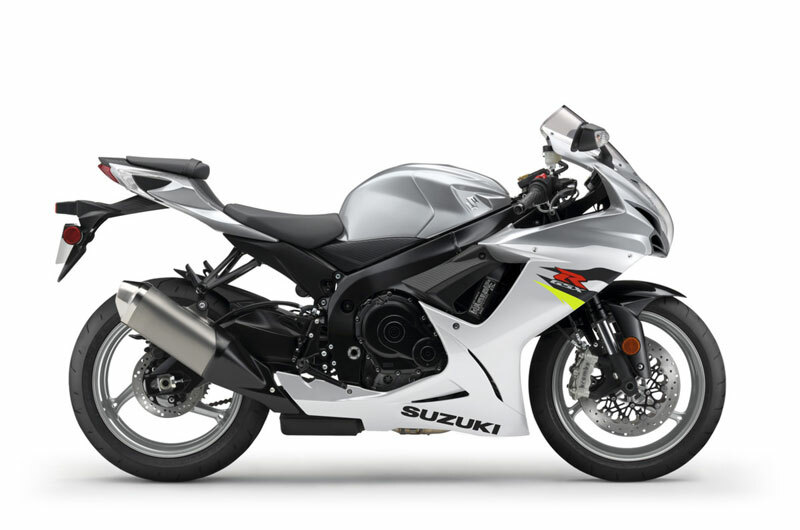 A 599cc, 4-cylinder engine with a race-proven oversquare bore/stroke ratio is engineered for exceptional high-revving performance producing 92.5kW @13,500rpm with 69.6Nm of torque @11,500. Lightweight, durable forged pistons are designed with the Finite Element Method (FEM) and fatigue analysis technology and optimised camshaft profiles was developed using proven MotoGP racing technology. 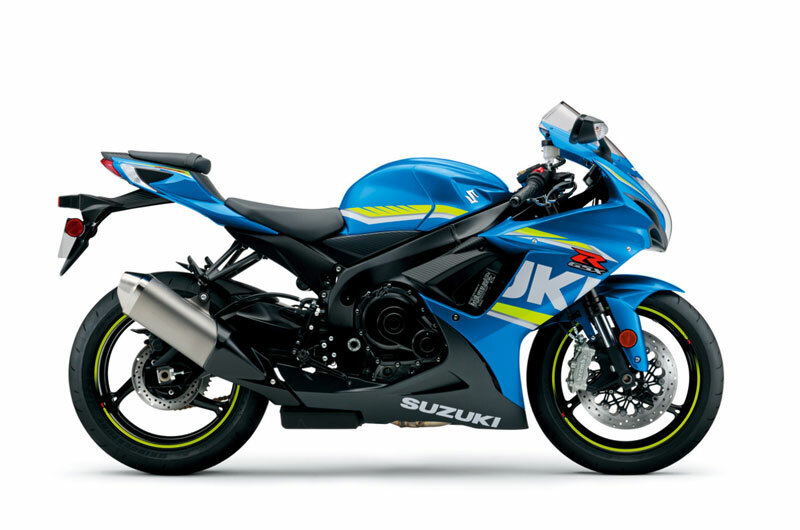 The Suzuki Drive Mode Selector (S-DMS) system allows the rider to select a map to suit various riding conditions and personal preference on the road, for example choosing one map for highway cruising and the other map for tight country roads. The two available maps were also developed using racing experience. Switching from one map to the other is instantaneous, making it possible for the rider to use one map on one part of a racetrack and then select the other map for another part of a racetrack, useful in case of localised rain in only a few corners. 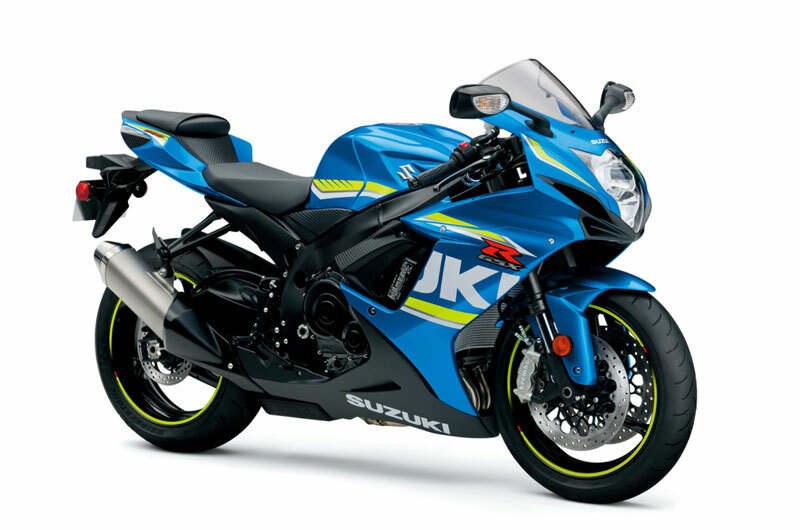 The system also allows the rider to switch from Map A to Map B to suit conditions at the end of a long race when the rear tyre is worn, to use Map B when scrubbing in a new rear tyre, or to choose Map A for a high-speed racetrack and Map B for a tighter racetrack. 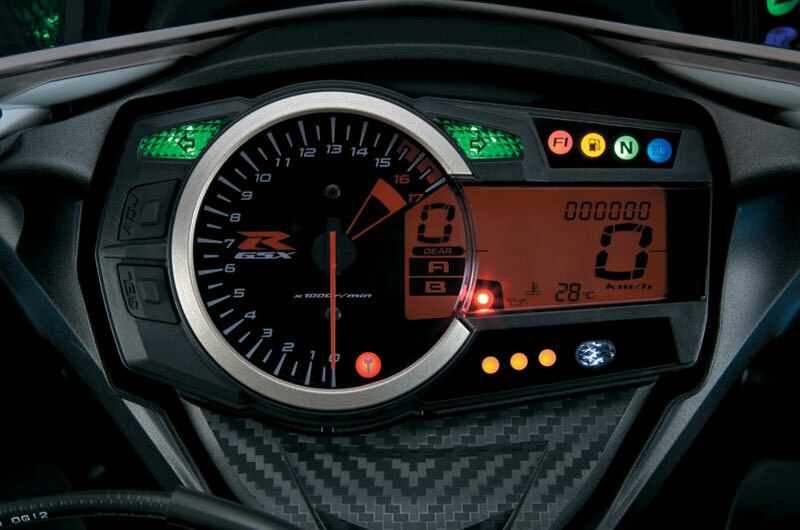 The centerpiece of the instrument cluster is an analog tachometer, with an adjacent LCD panel offering digital speedometer, odometer, dual trip meter, reserve trip meter, clock, coolant temperature/oil-pressure indicator, lap timer/stopwatch, S-DMS indicator and gear position indicator displays. 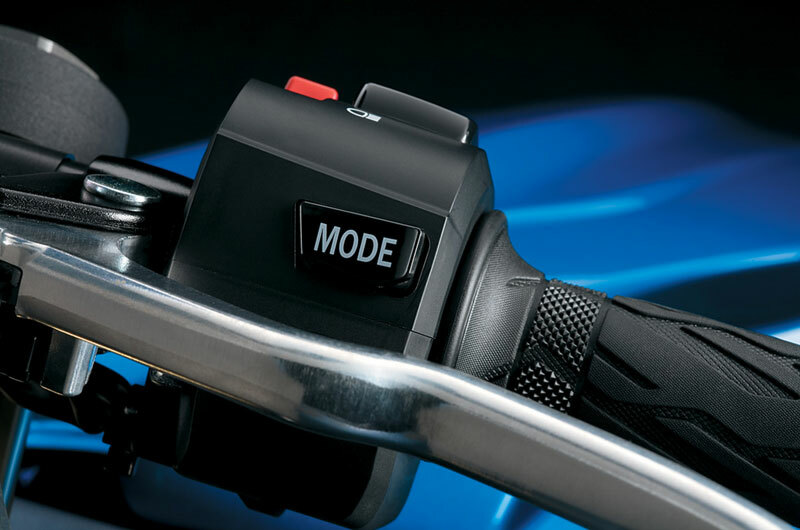 Other LED lights built into the cluster include neutral, high beam and turn signal, fuel level and FI indicators. 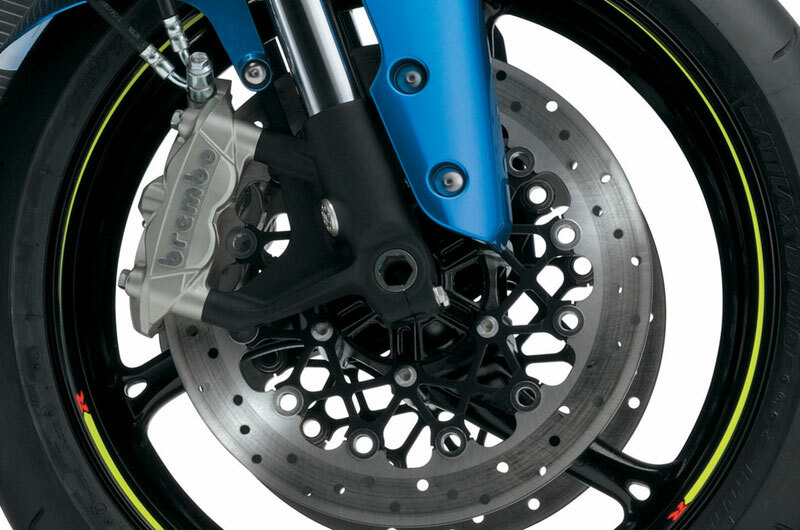 Twin lightweight, radial-mounted four-piston Brembo monobloc calipers with full-floating 310mm discs provide class-leading braking performance and exceptional handling. The 32mm caliper pads are staggered to promote even pad wear, the trailing pistons offset relative to the pad centerline. 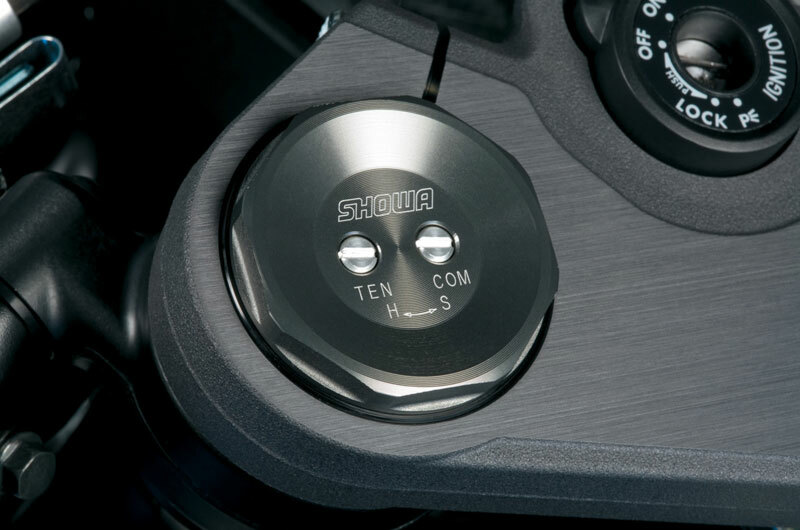 The single Showa rear shock features externally adjustable rebound and compression damping, along with adjustable ride height. 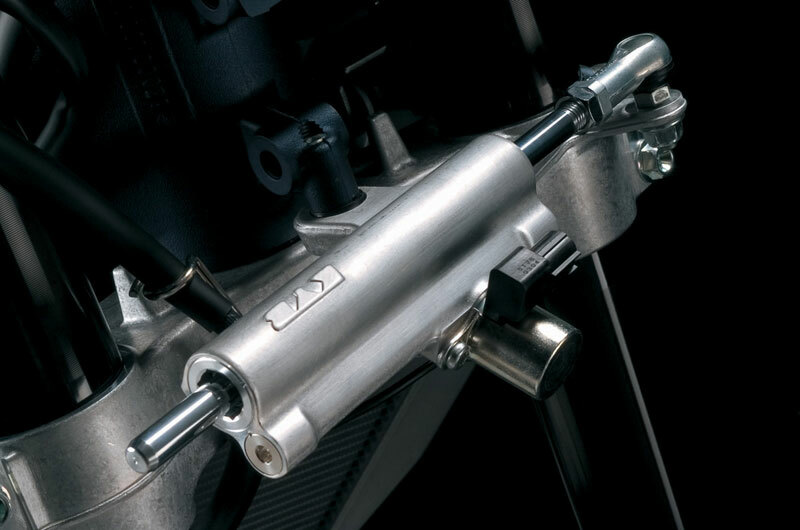 An electronically controlled steering damper uses the ECM to monitor motorcycle speed and adjusts itself for lighter steering at slower speeds, and delivers more damping force at racetrack and highway speeds. 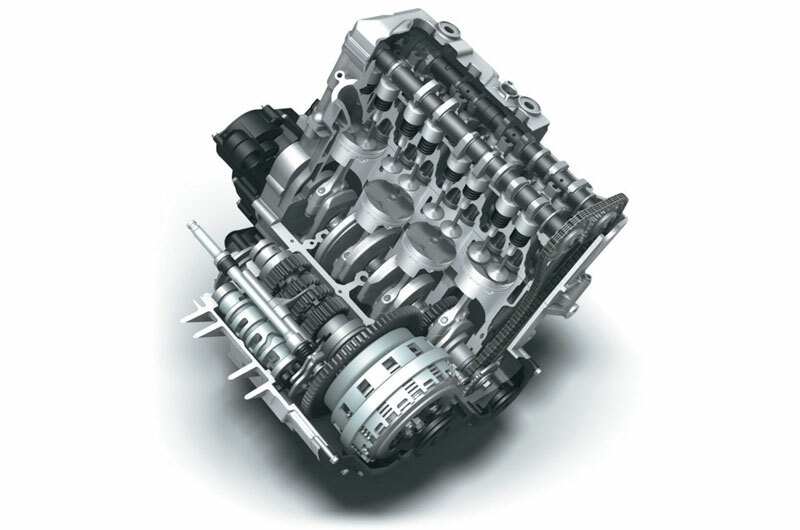 The engine employs shot-peened conrods, chrome-nitride-coated upper compression and oil control rings, and pentagonal ventilation holes. 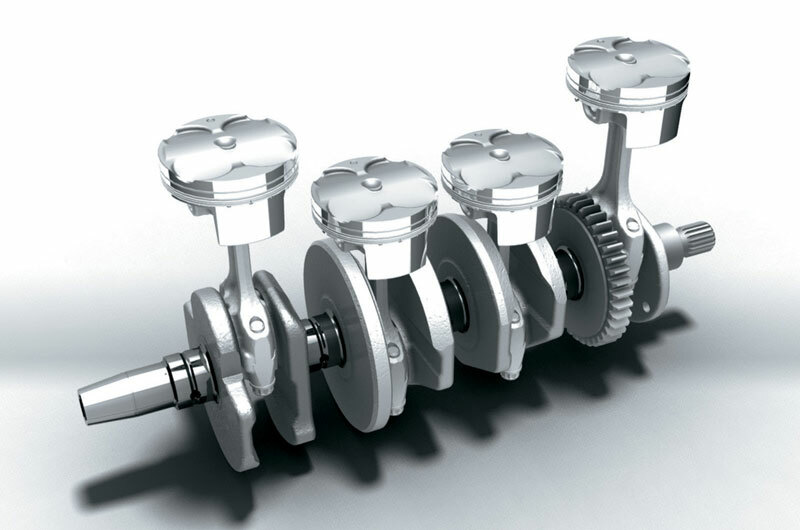 Camshaft profiles for an aggressive valve-lift curve, developed using proven MotoGP racing engine technology - its first use on a production Suzuki. 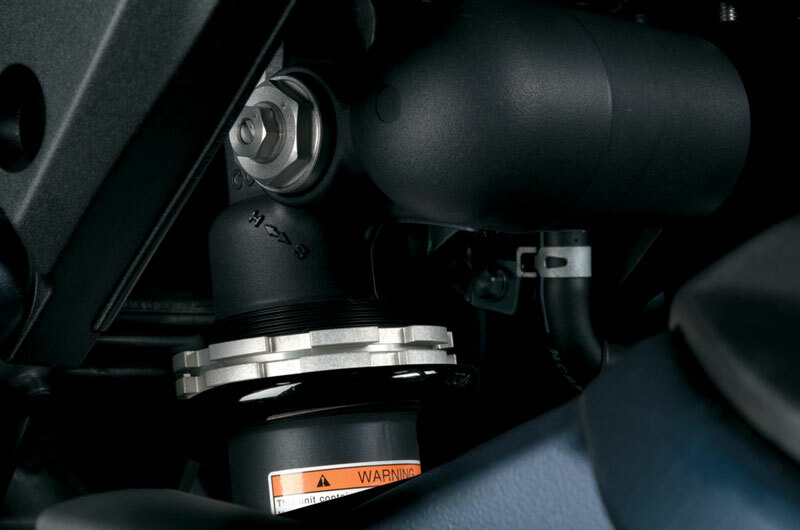 Suzuki Dual Throttle Valve (SDTV) fuel injection, using fine-spray 8-hole injectors for improved fuel atomization, which contributes to more complete combustion. 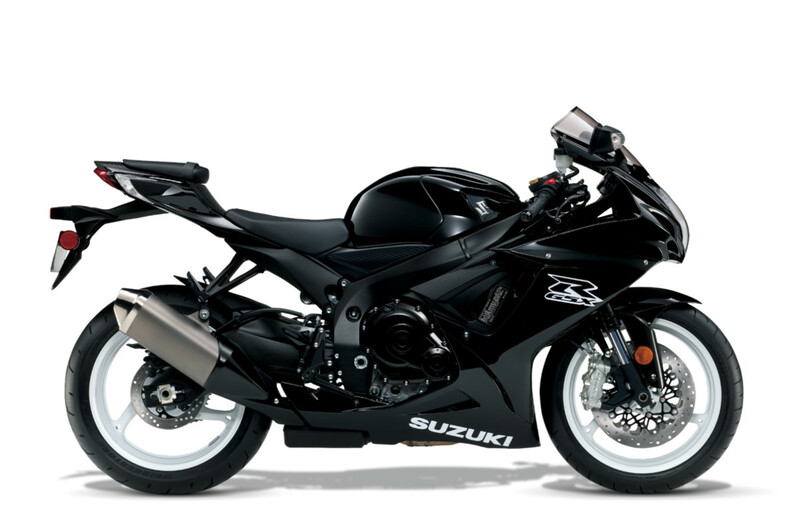 4-into-1 stainless-steel exhaust system with a titanium muffler, carrying a Suzuki Exhaust Tuning (SET) valve maximizing torque and improving throttle response, especially in the low-to-mid rpm range. Lightweight and compact twin-spar aluminium cradle frame made of five cast sections and cast swingarm.